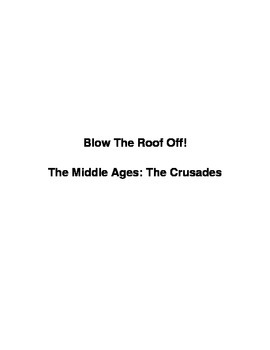 This is a fun words and actions game using the "blow the roof off" activity. 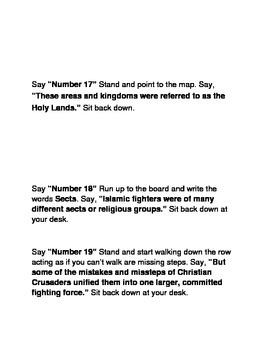 Each student gets one of the strips of paper with a piece of information about the crusades and an action that goes with the corresponding information. 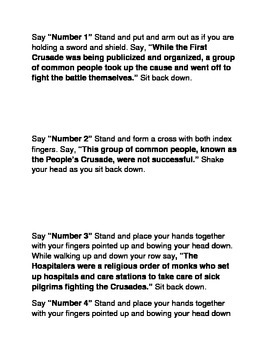 By doing the actions with each piece of information, it helps the kids retain the information better. The kids love to act it out over and over as I time them to beat their previous times!